Traffic cresting the top of the hill on S.E. 52nd Avenue between Flavel Street and Flavel Drive came to a halt on March 1, a little past 5 p.m., as drivers came upon a two-car smashup. According to witnesses, both vehicles had been northbound on 52nd Avenue between Flavel Drive and Malden Street. 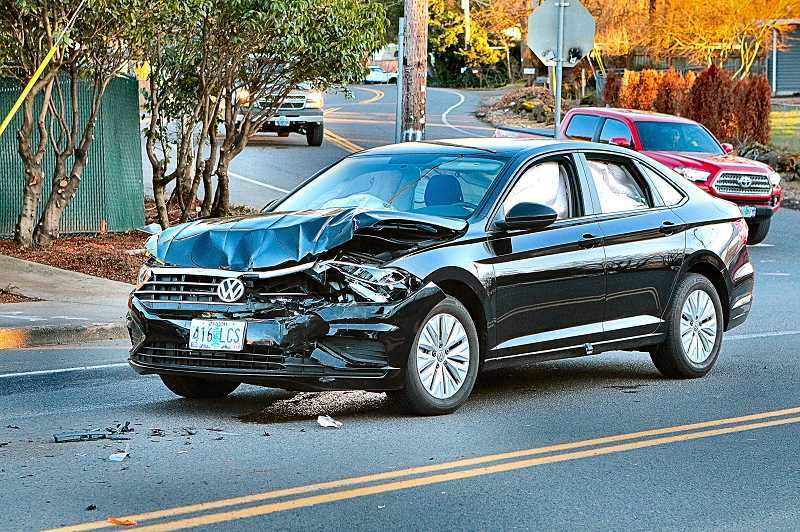 The Subaru Outback had come to a stop, but the driver of a Volkswagen Jetta apparently didn't notice – and smacked into the car ahead hard enough to deploy the airbags in both cars. Although the crash was dispatched to police and fire as an injury accident, an officer at the scene later said no one needed medical transport; and since there were no injuries, there were no citations issued. The officer aided the drivers in exchanging information.